a personal look at a reading life. 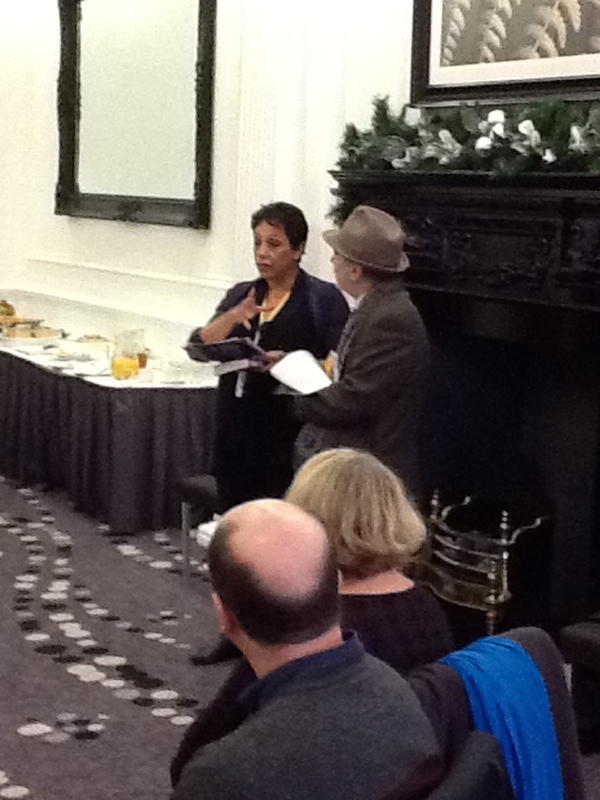 A quiet time before Christmas? 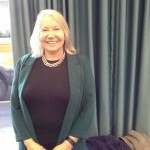 As I had been through a fairly hectic period in September and October, I thought that the lead up to Christmas would be a lot quieter; how wrong could I be. 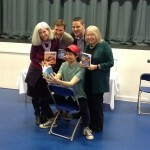 During October and November I worked with publishers to organize school visits for two really great new authors. 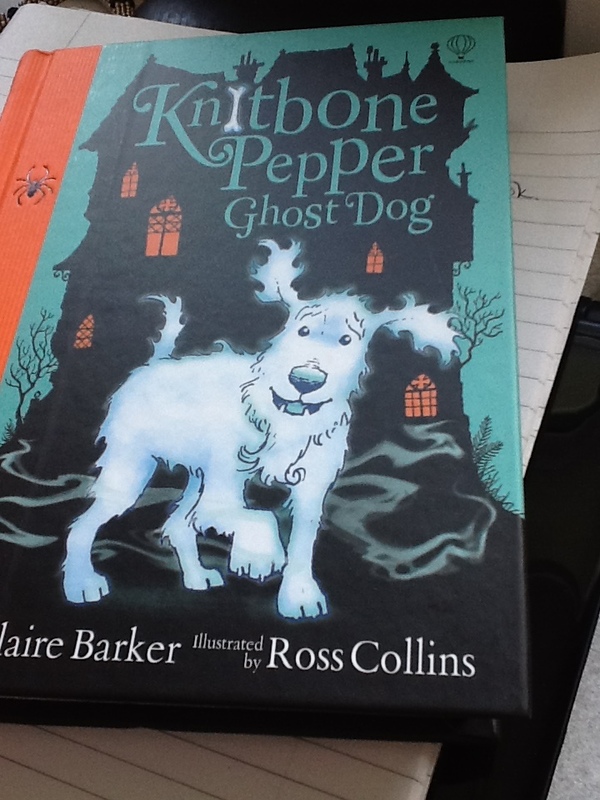 In October I took the lovely Claire Barker to four schools where she enthralled the year 3 and 4 children with tales of her new book “Knitbone Pepper, ghost dog”. 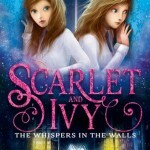 Then in December I arranged for Sophie Cleverly to go into another four schools to talk about the second in her series about Scarlet and Ivy, this book is called “The Whispers in the Walls”. This series is aimed for the 8-12 age group and is full of mystery. 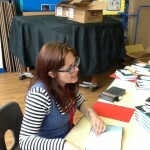 The children thoroughly enjoyed both authors and I am sure that the fan base has increased considerably. 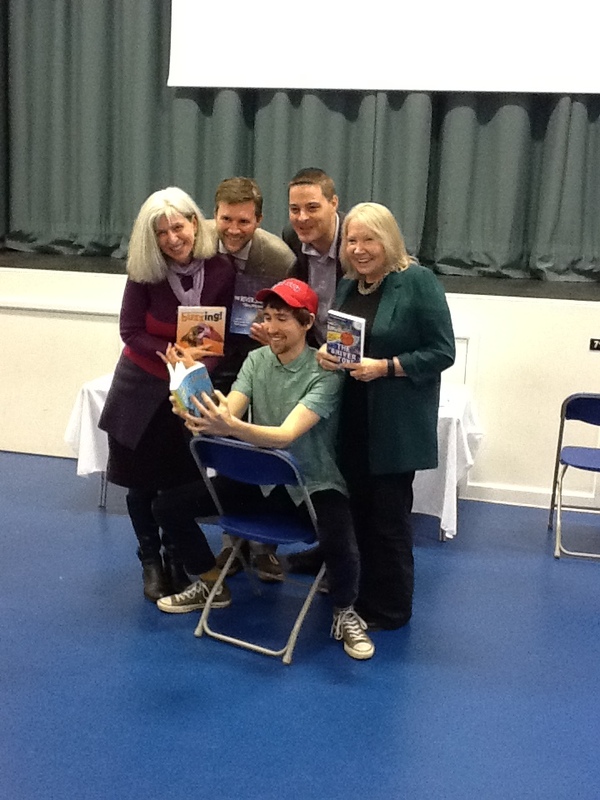 Early in November I was able to attend the award ceremony for the ‘North Somerset Teachers Book Award’ and it was an opportunity to meet friends such as Huw Powell and Sharon Tregenza (a Facebook friend)and also meet Sam Gayton and Tom Moorhouse, Thank you to all those involved in this award and in particular Sue Wilsher the energetic organizer. 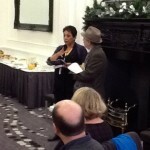 At the end of November I spent a lovely day over in Cardiff, where Chicken House publishers were holding a Little Breakfast at which we were invited to hear from five of their authors about upcoming books. There was Sam Hepburn, Emma Shevah, Linda Davies, M G Leonard and Helen Maslin; a positive cornucopia of talent to look forward to. 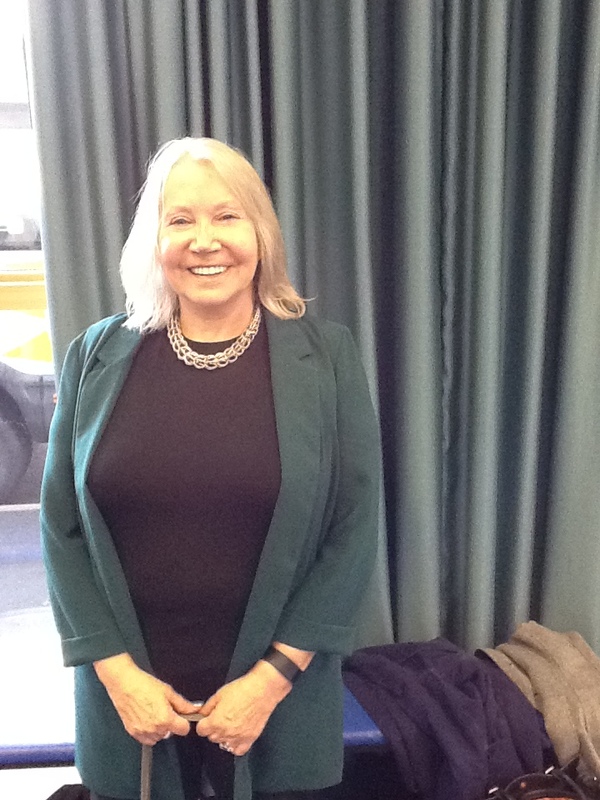 It was also great to see several old friends and to catch up with what is going on. The lead up to Christmas was announced in December by the annual Andersen Press Christmas Party. This is an event that is not to be missed if at all possible. There were some amazing people there, all of whom are at the top of their professions as writers and illustrators; which only goes to prove that Andersen knows how to chose which books to publish. My final book related event was a week before Christmas, when Tracey Corderoy and Steve Lenton were signing books at Waterstones in Weston-super-mare. 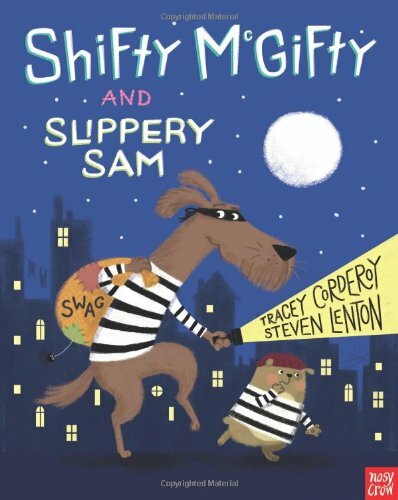 Their adventures of “Shifty McGifty and Slippery Sam” are becoming very popular and are really good to read to young audiences. 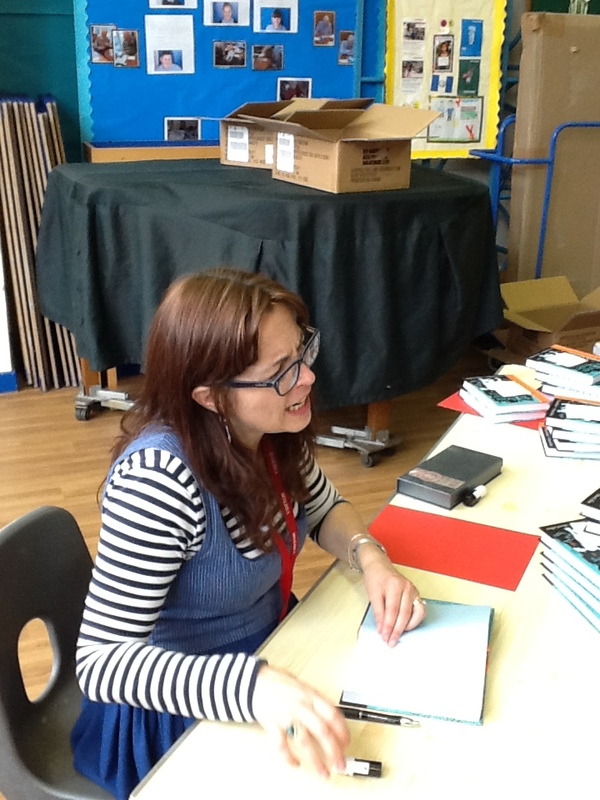 this was also an opportunity for the two of them to receive the award for the ‘North Somerset Teachers Book Award’ which they won this year. So much for a quiet month or so to prepare for the festivities. However I think I prefer the excitement of meeting all of these amazing people and hearing about the wonderful books that have just come out, or will be arriving in the next few months. I really am looking forward to what the new year will bring. 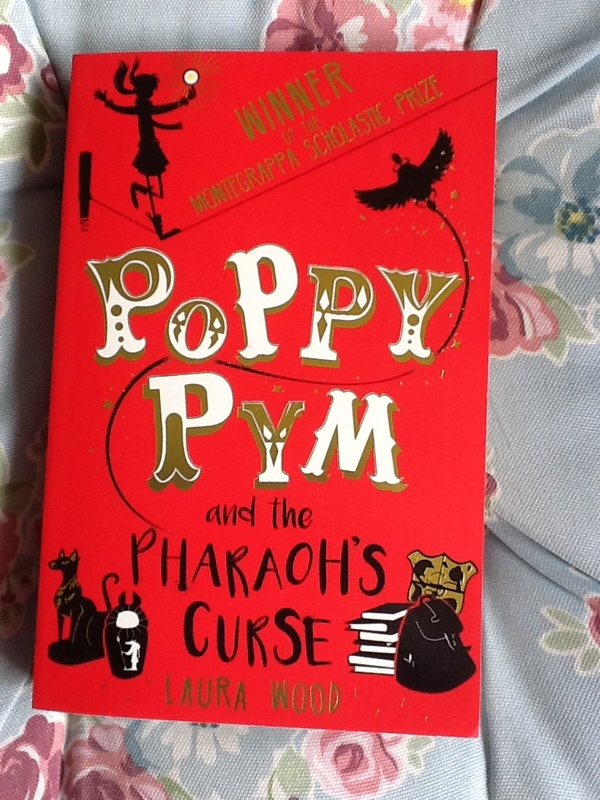 “Poppy Pym and the Pharaoh’s curse” by Laura Wood is an exciting mix of school story, circuses and Egyptian curses. We have a delightful heroine who is sent off to school having been brought up in a circus. However something does not seem quite right at the school and when it hosts an exhibition of ancient Egyptian artifacts strange things happen, not least the theft of one of the treasures. 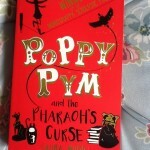 How Poppy and her circus family, as well as her new friends at school, solve the mystery makes for a great start to this new series. 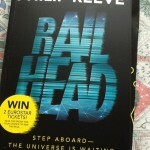 “Railhead” by Philip Reeve has been eagerly awaited by his many fans who loved his earlier steam punk and dystopian novels. This new work is set in future worlds which are connected by the railways that can traverse time and space. It is a truly fantastic concept and allows for the hero Zen to be a flawed character who is just aiming to get through life as a small time thief. 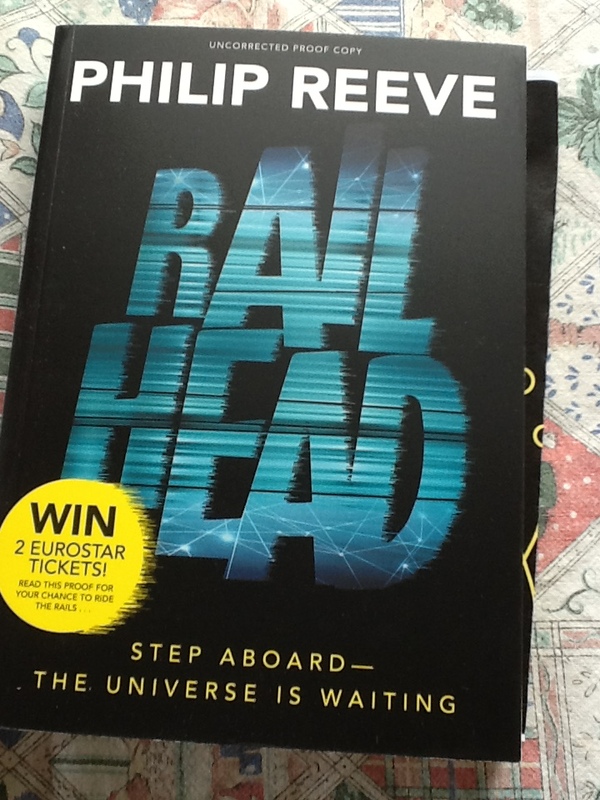 His big love is riding the rails and keeping one step ahead of the law, wherever he finds it, but then one day the mysterious raven asks him to steal an object that will put them and the worlds they inhabit in great danger. Robin Stevens has brought us another sizzling escapade from her sleuthing duo Daisy Wells and Hazel Wong. Entitled “First Class Murder” this is a true ‘homage’ to Agatha Christie and in particular ‘Murder on the Orient Express’. The duo find themselves on board the famed train, together with Hazel’s father, who is not impressed by their detecting, The mix of 1930s style and the fascinating cast of characters make this a brilliant read as we try and unravel the motives and opportunities for murder. these are rapidly becoming new classics of the genre. Another new addition to the detective genre is Katherine Woodfine with her tale of “The mystery of the Clockwork Sparrow”, based in a new London department store as it opens its doors to the public at the height of the Edwardian period. The heroine Sophie comes from a well-to-do background but has fallen on hard times, luckily she has got a job as a shop assistant at the brand new “Sinclair’s”. She and some new found friends soon find themselves mixed up in mystery and adventure with plots surrounding the fantastic jewelled sparrow owned by Mr Sinclair and also deeper political goings on in the lead up to the first world war. This is the first in the series and I look forward to the next offering. “The Potion Diaries” by Amy Alward (with thanks to Netgalley). this is a great story of potion makers and dark magic, where the heroine is joined by the handsome son of her greatest rival in trying to source the ingredients to save the princess from a terrible fate. There is lots of action, great characters and lessons to be learnt in this really excellent story. 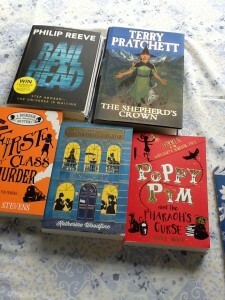 Terry Pratchett’s “The Shepherd’s Crown” is the final volume in the sequence following the life of Tiffany Aching, but it is also the long awaited final work from the greatly loved author who died earlier this year. It is difficult to go too deeply into the plot without spoiling it for someone who has not read the book, however I will try and give some details. For those who are fans, it is lovely to see so many favourite characters, from the “Wee Free Men” and Granny Weatherwax to Nanny Ogg and Ridcully(the Arch chancellor). This is about Tiffany coming of age as a witch and about major changes that are happening both in the Discworld and in the Faerie land; these mean great challenges for our heroine and she has to make some momentous decisions. As always there are plenty of things to make us think in this story and it is a fitting finale to our love affair with Discworld. I will just have to read them all over again. 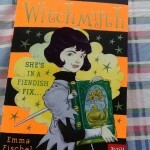 “Witchmyth” by Emma Fischel and Chris Riddell, is the second in the series starring young Flo, a thoroughly modern witch who uses modern methods of witchcraft. However her grandmother, who has moved in with the family likes to do everything in the old fashioned way, which of course leads to lots of interesting situations. 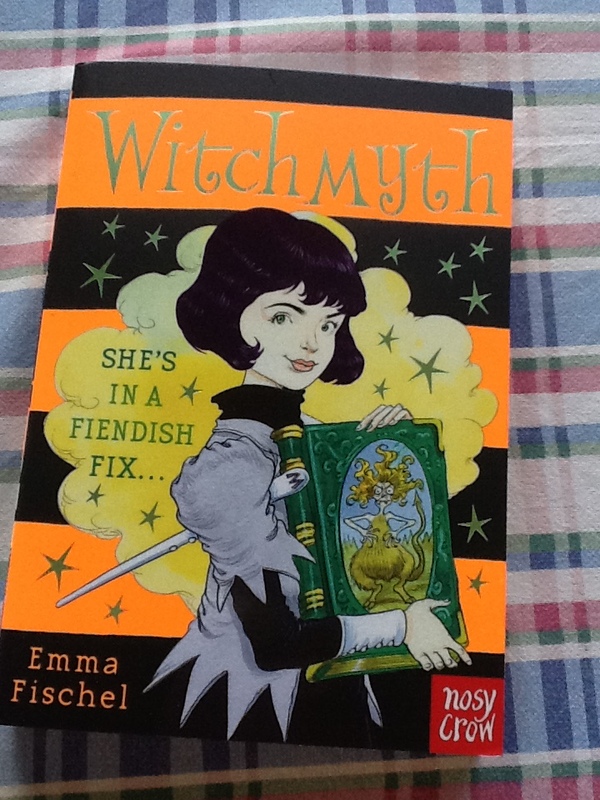 In this book Flo begins to think that the Hagfiend (a character from folk tales) might be real and she might just be trying to make a come back. 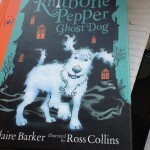 “Knitbone Pepper: ghost dog” by Claire Barker and Ross Collins. this is a really brilliant little book for the younger confident reader. It is the story of Winnie and her parents who own Starcross Hall, but who look as if they are about to lose it because of trickery and evil doing by a council official and a ghost hunter. Knitbone is the beloved pet dog who has died but finds himself still at the hall because of his intense loyalty and love for Winnie and the family. How they and their other ghostly friends prevent disaster makes for a fun filled story. 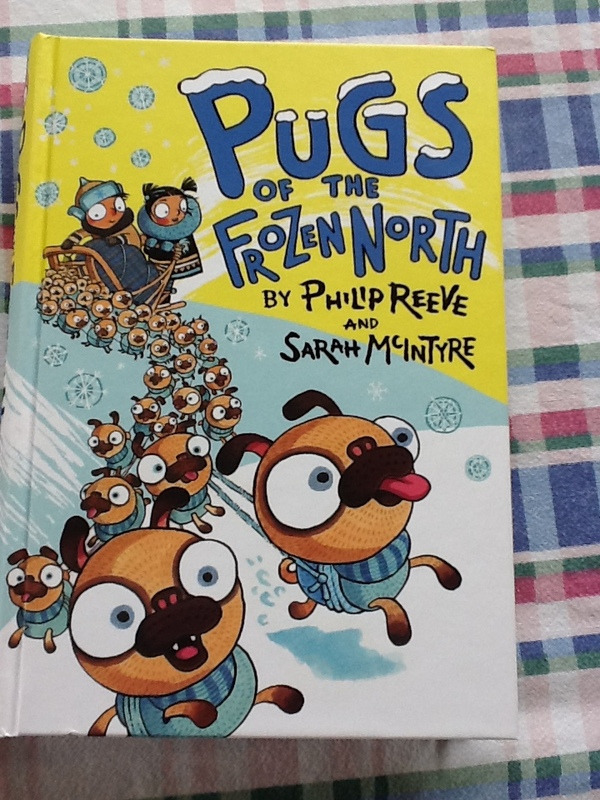 “Pugs of the frozen north” by Philip Reeve and Sarah McIntyre. this is yet another hysterical story by the collaborating duo of Reeve and McIntyre (sounds a bit like a comedy duo). this time we have ship’s boy Shen and his new friend Sika trying to take part in a race to the far north in order to win a promise from the Snow Father. 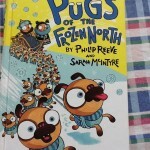 The problem is that they only have 66 pugs to pull their sleigh and the other competitors have much stronger animals. However this is a story with a little bit of magic and it is amazing what you can do with the right spirit. 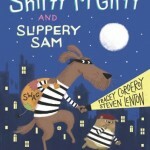 As always the mix of pictures and story make this a really superb book for the 7+ age group. 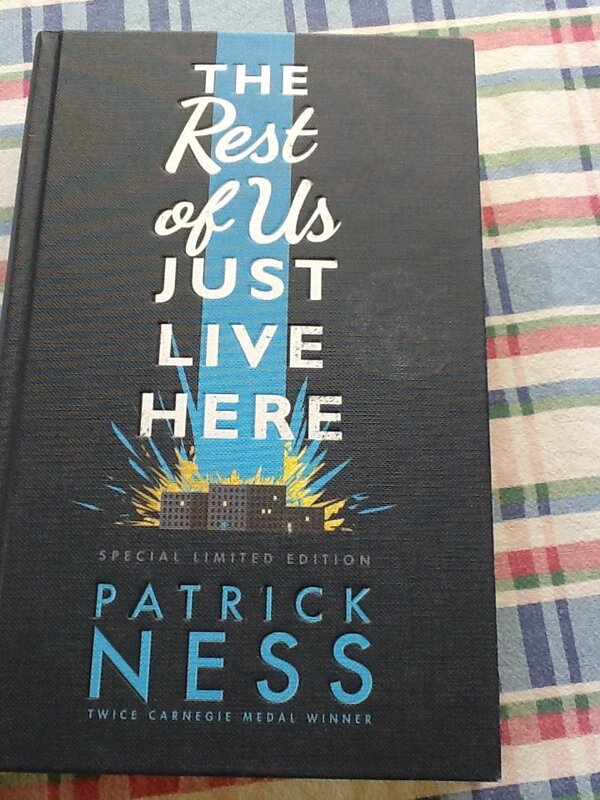 “The rest of us just live here” by Patrick Ness. Well what is there to say about another book by this award wining author. 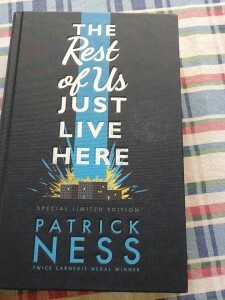 I was lucky enough to go to the launch and have written a separate post about the event and the book. I just want to say that it is a “must read” for all of you out there. It is full of drama, adventure and yet strong feelings about family and friendship.